Last week I did five offensive sleepers, now it is time to do the defensive side of the ball. There are some excellent players here in the mid-to-late rounds that can help some teams. This entry was posted in Fantasy Football, NCAA Football, NFL, NFL Draft and tagged #NFL, Ben Burr-Kirven, David Long, Football, Justin Hollins, Khalen Saunders, Max Crosby, NFL Combine, NFL Draft on April 21, 2019 by lamarrfields83. Eddie Jones played his college basketball career at the University of Temple. Jones played under the tutelage of Head Coach John Chaney. While at Temple, Jones was the 1993-94 Atlantic-10 Player of the year and led the Owls to the Elite 8 in the NCAA tournament. 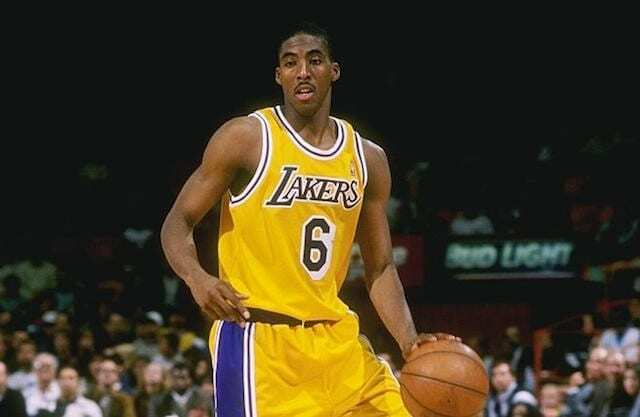 This entry was posted in NBA and tagged Basketball, Charlotte Hornets, Eddie Jones, Kobe Bryant, Los Angeles Lakers, Meemphius Grizzlies, Miami Heat, NBA, Shaquille O'Neal on April 6, 2019 by lamarrfields83. Baseball season is officially here. Everybody knows the teams that will contend for the postseason, but it is a long 162 game season, and there could be some surprise teams. This entry was posted in MLB and tagged #MLB, Baseball, Cincinnati Reds, Joey Votto, Marwin Gonzalez, Minnesota Twins, Nelson Cruz on March 31, 2019 by lamarrfields83.